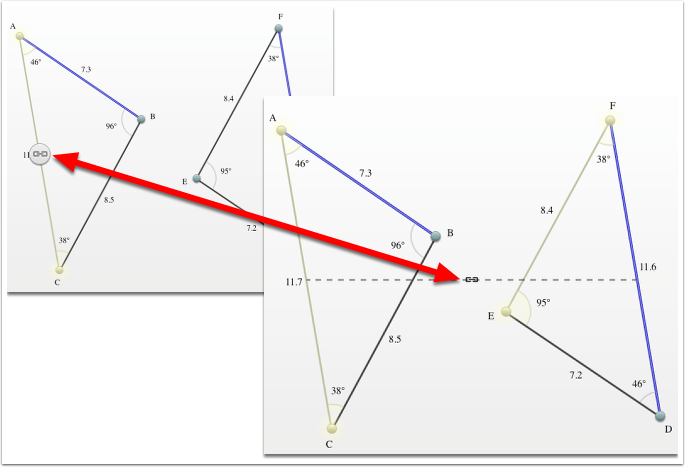 The similarity toolkit allows students to explore two triangles to determine congruency or similarity given SSS, SSA, SAS, AAA, etc.. Students show how two triangles are similar or congruent using rigid transformations (translation, rotation, and reflexion). 1. 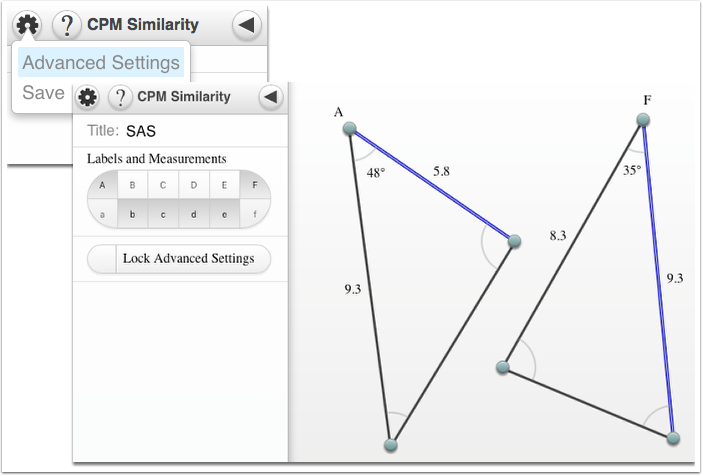 Click on the "Similarity Toolkit" link below. For additional help, click on the "Similarity Toolkit Video". 3. Indicate what sides/angles are similar/congruent. 4. 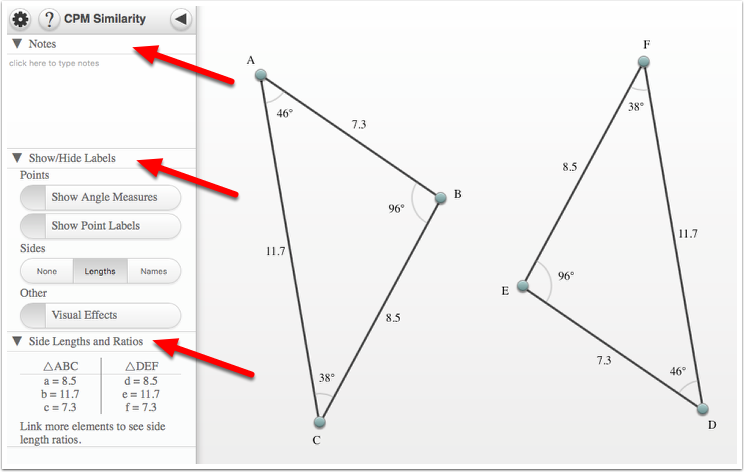 By going to the Advanced Settings, indicate what angles and sides you want shown!